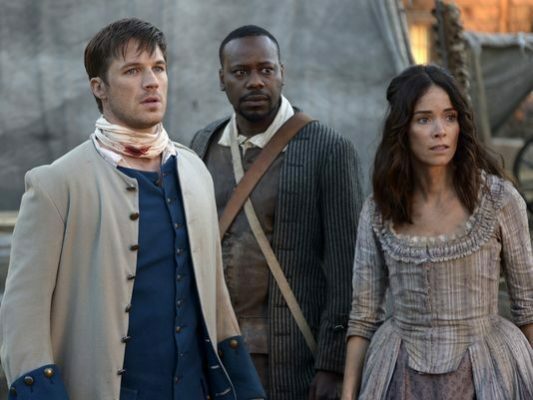 When can we expect the new season of Timeless? TVGuide reports NBC will announced the TV show’s season two premiere date soon. The time-travel drama follows the unexpected team of a history professor (Abigail Spencer), a soldier (Matt Lanter), and a scientist (Malcolm Barrett) as they embark on the adventure of a lifetime to stop a mysterious villain. The cast also includes Goran Visnjic, Paterson Joseph, Sakina Jaffrey, and Claudia Doumit. NBC‘s Television Critics Association press conference is scheduled for tomorrow, January 9th. So perhaps we’ll get a date then. What do you think? Are you a fan of Timeless? What do you hope happens in season two? LOVE Timeless and am anxiously awaiting the new season of time travel adventures with my favorite cast of characters!! Love Timeless!!! Can’t wait for season 2 and many more. What a wonderful cast and great writing. I hope that season 2 will be as good if not better than season 1, looking forward to it. Thank-you for renewing “Timeless” for a second season. Fingers and toes crossed that you continue to renew this great show for many more seasons. I am soooooooooooo excited to see Season 2. Thank-you again. That was a great choice/decision about NOT CANCELING “Timeless” NBC Network Television Series/Television Shows made the right choice/decision and I can’t wait for Season 2 of “Timeless” to start in 2018 hopefully during Winter/Spring time I highly recommend it to see/watch this TV Show! Finally some news! I really hope we’ll get the air date tomorrow. Would love to have Timeless back as soon as possible.